… Luck is already on you side, but your elemental Star Lord Gun is going to be a pretty much aid in the tasks you have ahead of you. 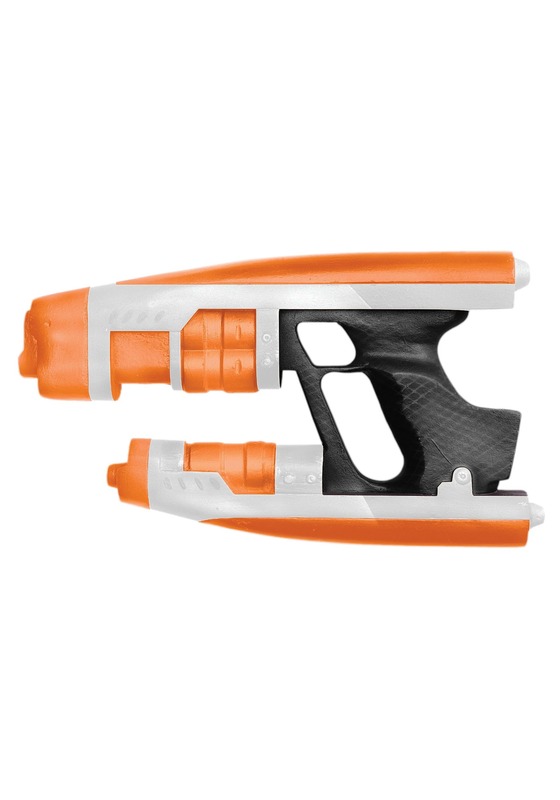 This plastic orange and black painted gun might look like a toy, but, then again, so to half the things that Star Lord equips. Once you unleash the true power of your gadgets, these twin blasters included, the galaxy better beware because the Guardians aren’t going to let anything get by them!